Offshore accommodation and workspace solutions specialist, HB Rentals, has invested in excess of GBP 750,000 into new product lines in response to customer demand. 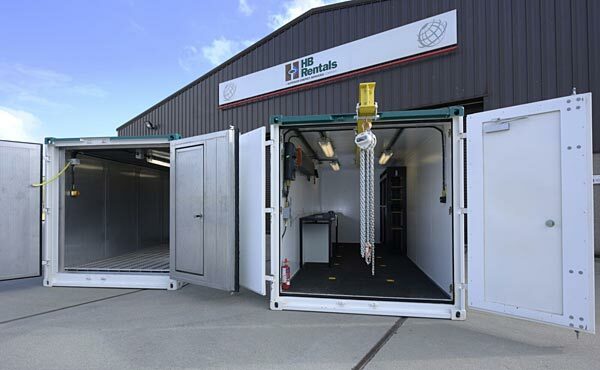 The company has added hazardous area workshop containers to its rental fleet which are multi-functional with the combination of standard features and fit-out options. This offers a wide range of applications ranging from mechanical workshops, electrical workshops, rigging lofts and storage containers. The new DNV 2.7-1 certified workshops come with ATEX Zone 1 electrics, lighting, heating and air conditioning, allowing them to operate in a hazardous area. Standard features also include workbenches, vice and caged shelving with the option of an extendable lifting beam and hoist. In addition to the workshop containers, HB Rentals has invested in refrigeration/freezer containers, which are also DNV 2.7-1 certified. The containers feature stainless steel hygienic surfaces for easy cleaning and wash down, dual temperature settings for refrigeration or freezing and automatic sensor lighting. Featuring Carrier’s marine refrigeration plant, the containers can operate in environments ranging between -30°C to +50°C and also have a removable floor grid for easy cleaning.